I'm so grateful and excited to see the donations that have been added to our GlobalGiving page so far! Wow!! Big hugs to April, Kelly, Nonna, Katrina, Stephanie, Abigail, Yvette, Elaine, Tischa, and the lovely people who chose to remain anonymous. Thank you also to everyone who's read my post and encouraged this effort in any way. I know many of you have already given as much as you can in other ways or to other needy causes. As promised, while this fundraiser is running I've been working extra-hard on new reviews. 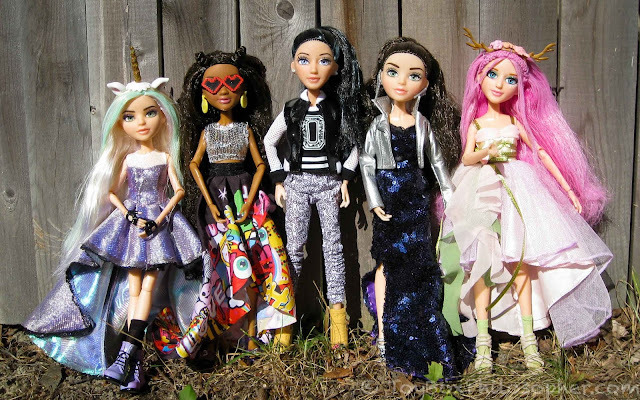 Lately I've been splitting my time between a look at the new Maru and Friends Mini Pals and today's post: an update on the ever-tempting Project Mc2 line. I've reviewed Project Mc2 dolls several times already (here and here)--not because they're my favorite doll line or anything, but I guess because I wish they were. The dolls have so many appealing elements: inset eyes, lots of joints, sweet faces, fun project ideas, and a S.T.E.A.M.-based theme to boot. They should be the perfect play dolls for me. In addition, MGA Entertainment is doing a great job of releasing new dolls at regular intervals, so I feel like every time I check in on the collection, there's something fun and unexpected for me to look at. Project Mc2 dolls (from left): McKeyla's Glue Tattoos, Bryden's Light-Up Earrings, Devon's Puffy Paint, McKeyla's Lava Lip Gloss, and Ember's Fairy Wings. Here in rural Maine we lose power a lot. I don't know what the national average for power loss is, or anything like that, but when I used to live in New York, we'd lose power for ten minutes every few years. It was almost fun when it happened--like an unexpected adventure. In the part of Maine where I live now, the power goes out five to ten times every year. That's not so terrible on its own, but when a power outage drags on for days...well, that can get pretty bad. In the winter, we worry about all of our animals getting too cold (especially the birds!). In the summer we worry about keeping all of the food (and insulin) cold. At any time of the year, we get crabby when we can't take a shower. After a week with no power, even the calmest person in our household can start to feel a little desperate. Maybe you already see where I'm going with this. I've been thinking a lot about Puerto Rico and the Caribbean lately. The people there are not only without power, but without their homes, their belongings, their family members, their pets...and, I suspect, increasingly without a feeling of safety or hope. As I sit here in the comfort of my home, I feel the need to do something to help. Many of you have urged me to start a Patreon (or similar) site, where you can donate a little money to support the blog. This is so incredibly generous and kind (it brings tears to my eyes sometimes!) but I've never felt comfortable asking for money. However, I do feel comfortable with this request: please join my modest fundraising effort to help the residents of Puerto Rico and the Caribbean. The fundraiser will only last a few days, and any amount you can give will be amazing. About five thousand people visit this site every day, so if each of you pitches just a little, we've done something great. Please read on if you'd like to know more! Maru and Friends Mini Pal, Savannah (on the coast of Maine, 2017). As many of you know, I'm waiting for the arrival of my redheaded Create Your Own American Girl doll, Eliza. I expect her to ship sometime in mid-November. When I ordered Eliza back in late August, I also ordered a few custom outfits for her, just to see what the quality is like. These items all arrived at the beginning of this week and I thought I would quickly show you what they look like in person. 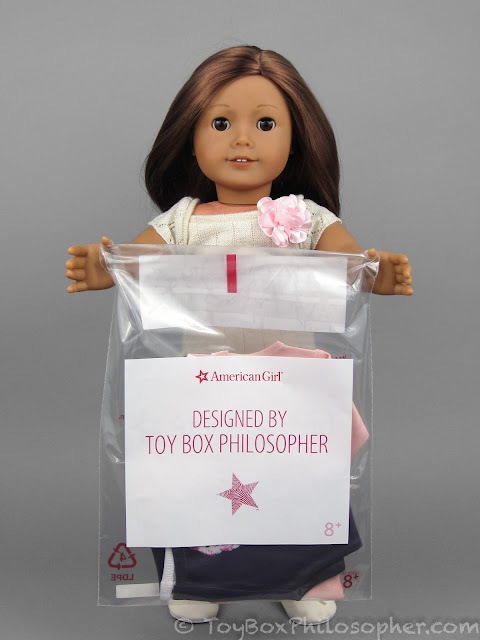 Design Your Own clothing by American Girl. Sunday Surprise: Blind Bag Spirit Riding Free Horses! Before I dive into today's review, I thought I'd mention that my Create Your Own American Girl clothing is on its way (it shipped--as promised--just shy of a month from when I ordered it) and should arrive sometime next week. I'm excited to see how the outfits look in person! I still don't expect Eliza herself to arrive until mid November. In the meantime, I thought this Sunday would be a great time to write a companion piece to my Spirit Riding Free review from last week. In this post, I'll contrast the blind bag surprise horses that are being offered by Breyer and Just Play. I also have a few non-mystery Spirit toys that I want to share, including two unexpected Just Play horses that I found at Toys R Us today, and a small horse and rider set from Breyer. 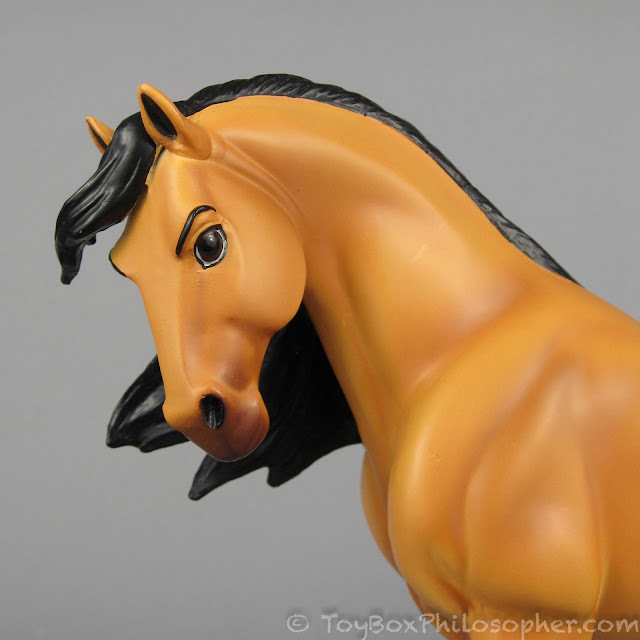 To start things off, here's a sneak peek at one of the Breyer blind bag horses--this is Spirit himself! 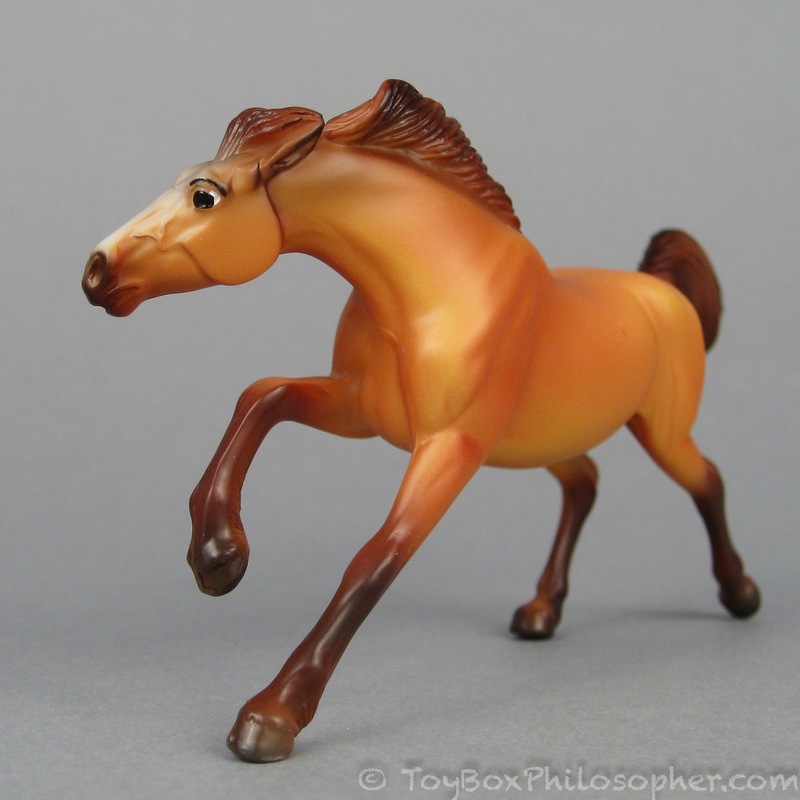 Breyer Spirit Riding Free blind bag Stablemate, Spirit.